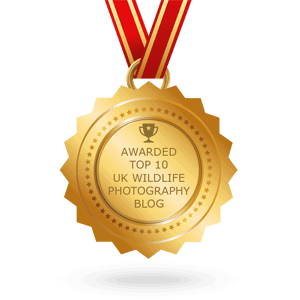 Professional Wildlife and Adventure Photographer, Naturalist, Publisher and Educator. Dana Allen was born in California and raised as a global citizen. As a youth he travelled widely, visiting and living in numerous countries around the world. 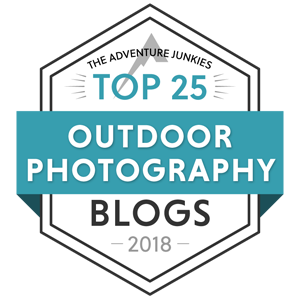 Acquiring his first camera at the age of 12, Dana’s passion for photography has never dimmed. He studied Fine Art Photography in Arizona and was awarded both a Bachelors and a Masters Degree with highest honours. 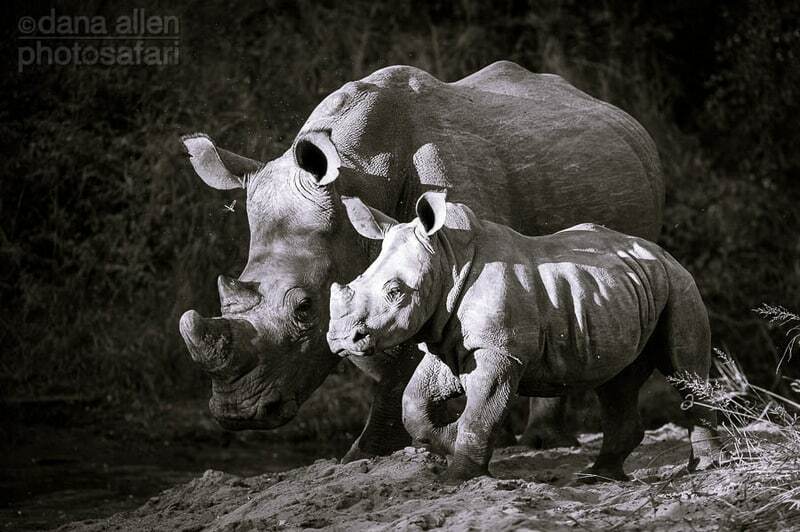 Dana has taught photography in Universities both in the United States and Zimbabwe. 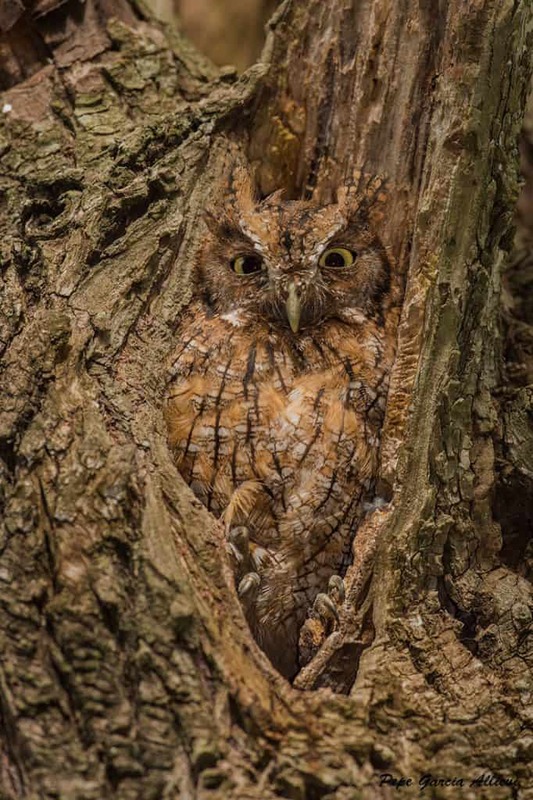 Enthused with the environment and its inhabitants, Dana is dedicated to portraying the natural world around us. He founded PhotoSafari in 1991 and has specialized in photographing wildlife, landscapes and tourism activities in Africa ever since. Millions of viewers have enjoyed his images through various publications, cards, calendars and books. 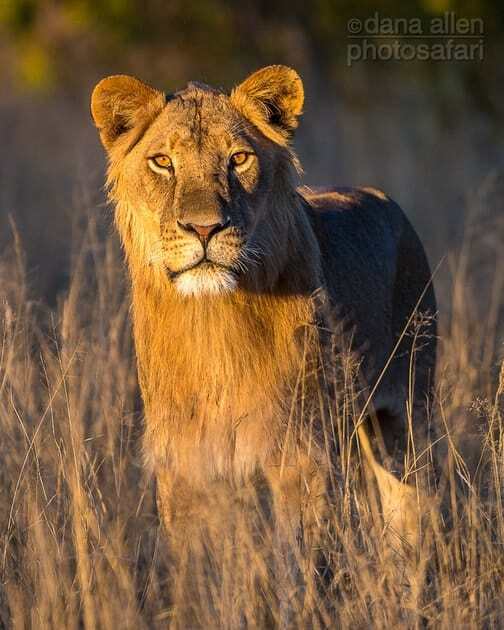 After the hunting of some of the big lions near Hwange, this amazing young male lion (Panthera leo) looks set to start his own pride in the area. Let’s hope he has a better fate. Photo taken at Hwange National Park, Zimbabwe. 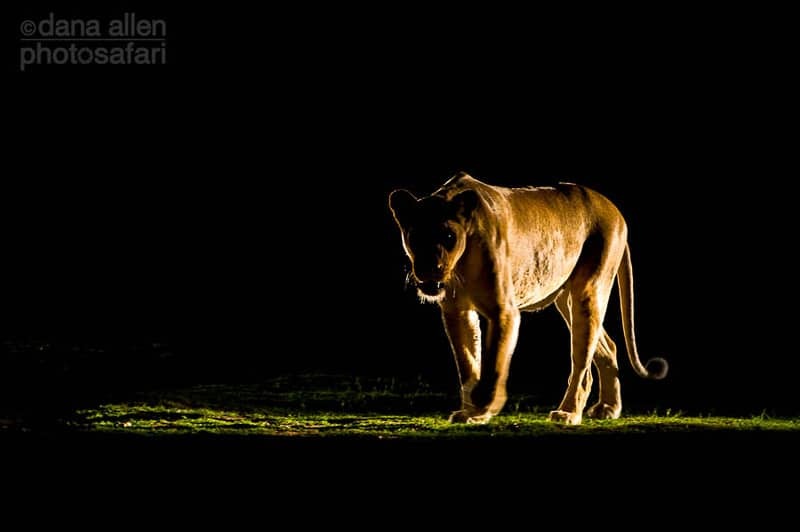 A lioness hunts in the dark of a moonless night in South Luangwa. But what or who is the prey? South Luangwa National Park, Zambia. You’re an Elephant! Celebrate World Elephant Day. 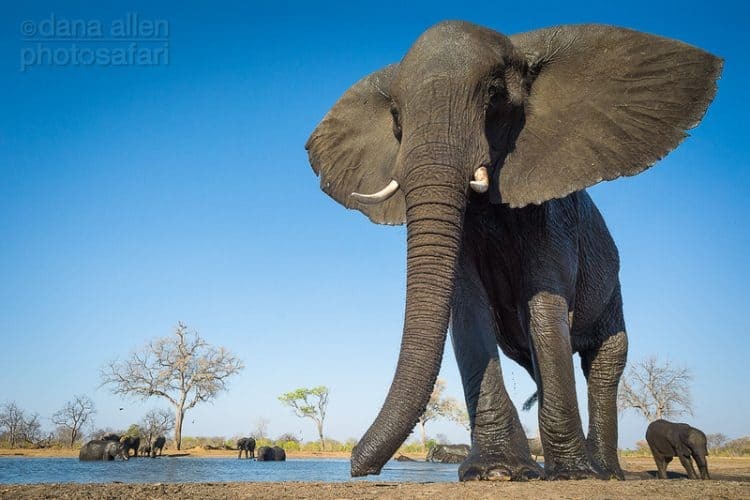 An Elephant (Loxodonta africana) crosses the border between Zambia and Zimbabwe in search of greener pastures. 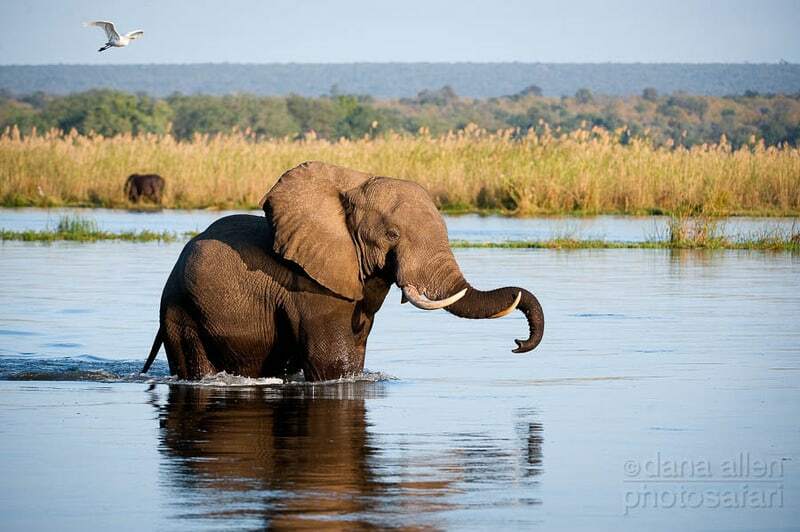 The river, which acts as a border for the two countries, is no barrier at all for the resident elephant population. Zambezi River, Lower Zambezi National Park, Zambia. At the current rate of poaching, the rhinoceros as a species will become extinct in the wild within this youngsters lifetime. Can we allow that to happen? Let us all help in some way in order to give this amazing little guy a future of hope. Mosi-oa-Tunya National Park, Zambia. 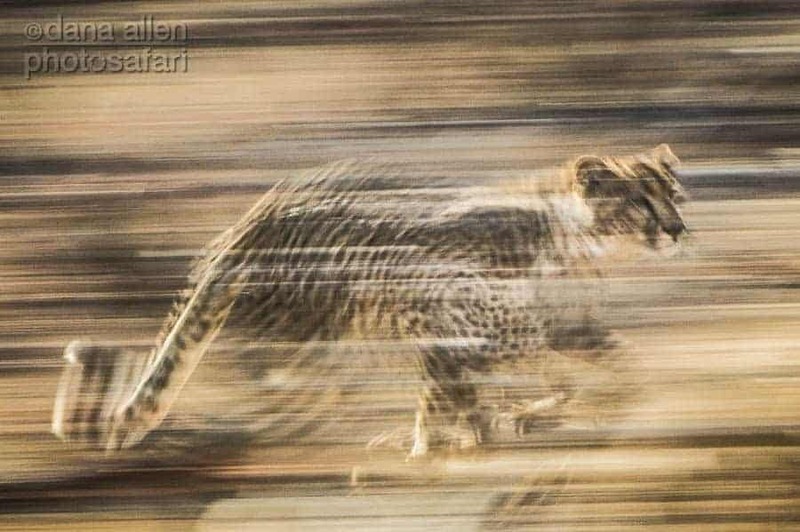 The cheetah (Acinonyx jubatus), fastest land animal on the planet. But is it quick enough to outrun its impending extinction in the wild? Mashatu, Botswana. 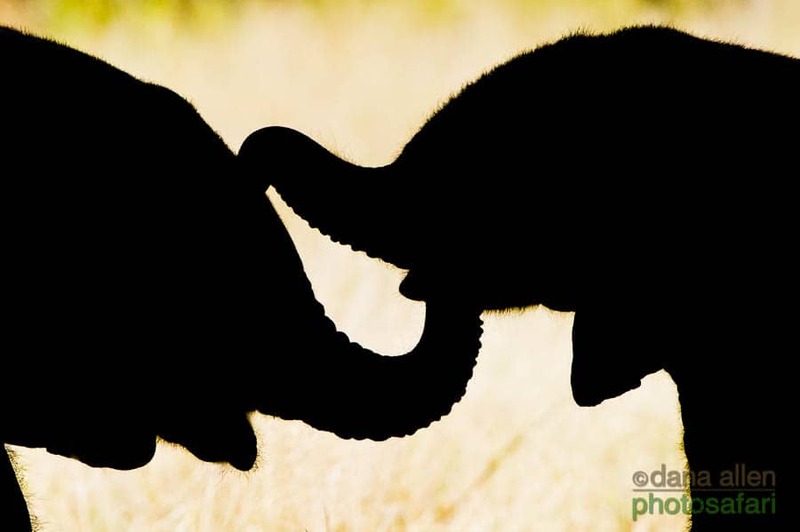 Elephants are very tactile creatures. They use their trunks as multipurpose tools to assist them in, among other things: drinking, feeding, fighting, playing, caressing, smelling, admonishing, caring, exploring, and… just saying “hi”. Okavango Delta, Botswana. 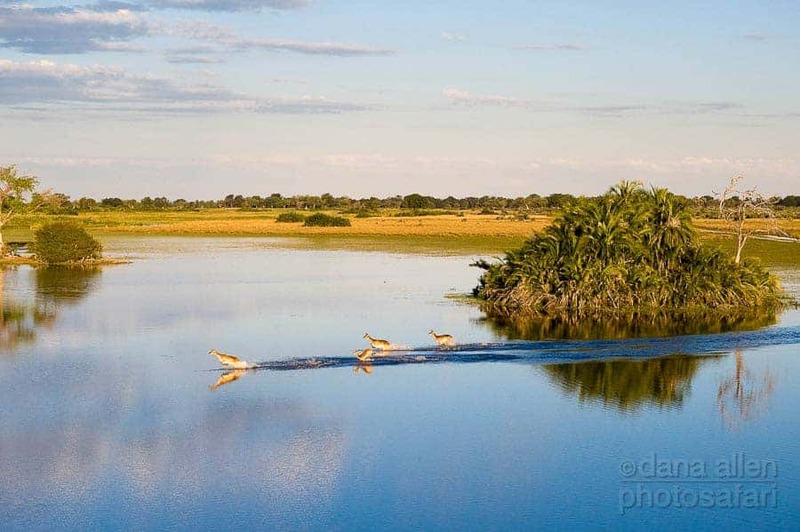 A small group of Red Lechwe (Kobus leche) transverse the shallow waters of the Jao floodplain in the Okavango Delta. Jao Floodplain, Okavango Delta, Botswana.